Our view: This delightful chalet complete with wood burning stove & sauna has lovely views over St Anton and is perfect for just 4 guests! 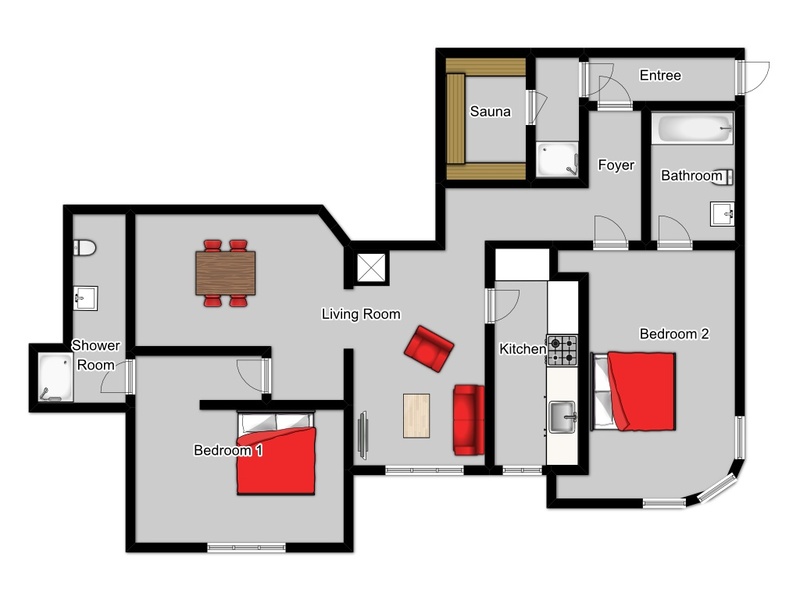 Amelia 4 is a self contained apartment on the garden level offering the perfect home from home for a family or small group with just two ensuite bedrooms. 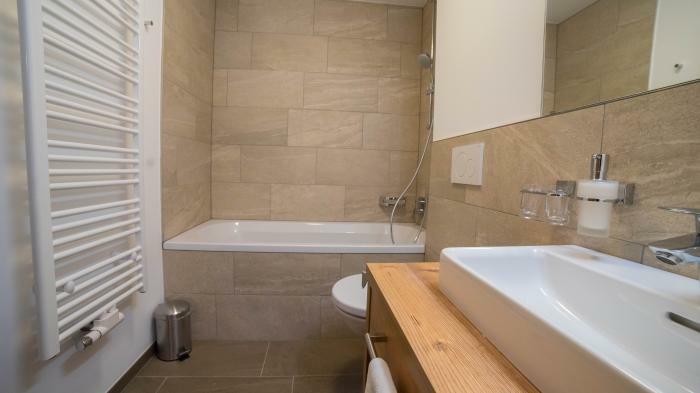 Built of traditional stone and wood cladding this attractive house is situated in a quiet, elevated location with lovely views across St. Anton. There is also the added advantage of a shared sauna to enjoy at the end of the day. 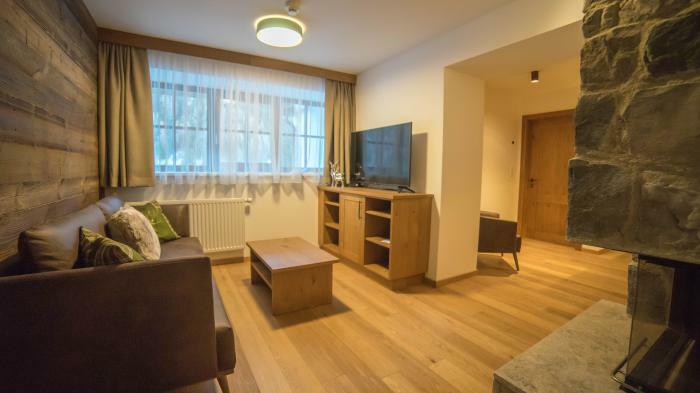 It is around an 8 minute downhill walk to the resort centre, main slopes and ski lifts. If you don't fancy an uphill walk at the end of the day, then jump on the ski bus which stops close by. Chalet staff live in separate self contained studio on garden floor. Owner lives in self contained apartment on top floor. Start your day with a hearty breakfast to fuel your day on the slopes, choose from a selection of cereals (not forgetting a bowl of Skiers porridge! ), fresh fruit and yoghurts, freshly baked local bread and choice of preserves accompanied by fruit juices, tea and coffee. In addition, apart from chalet staff day off and change over day, and if you've got the room, enjoy a cooked breakfast! On your return from the slopes, pop the kettle on and help yourself to a teatime treat with a slice (or two!) of delicious home-made cake or biscuits. Guests enjoy a 4 course dinner six nights per week served with a house red and white wine and coffee to finish. St Anton has become Austria's most popular ski resort and it'e easy to see why. 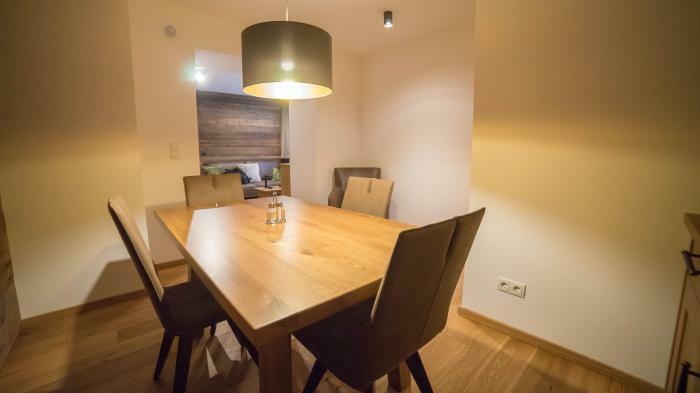 A combination of the largest linked ski area in Austria (St. Anton, St. Christoph, Lech, Zurs, Stuben), a raucous apres-ski and nightlife scene plus a charming Tirolean village centre with excellent amenities and a vast choice of accommodation. Let's start with the skiing. Over 400km of linked slopes with a top station just under 3,000m. A vast choice with slopes to suit all, beginners will find gentle slopes around Nasserein, whilst intermediates and experts are spoilt for choice and the off-piste opportunities are also excellent. A large network of sophisticated snow-making also covers the majority of the ski area, giving St Anton an enviable snow record. Up in the Moos area, perched above the reosrt centre you'll find several raucous apres ski bars where the party begins from 2pm. Most notorious among these are the Mooserwirt and Krazy Kanagruh, both of which are able to generate an amazing atmosphere to which people are inevitably drawn. So hard to describe, the best way is to see it for yourself! Once back in the resort centre, you're still spoilt for choice. 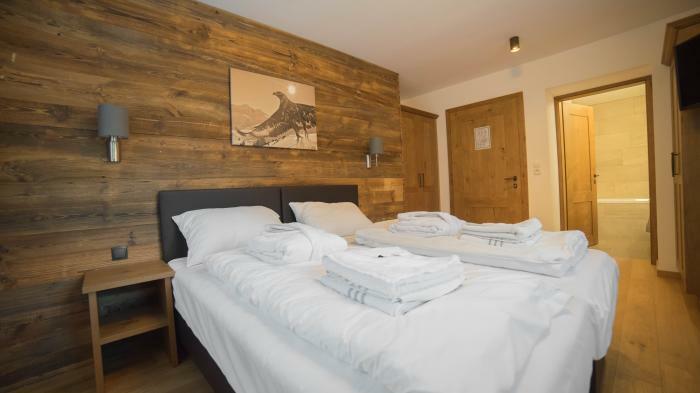 Start off at the vast Arlberg-Well leisure complex with a selection of indoor and outdoor pools and relaxation facilities. There's a vast choice of restaurants, with quality and price ranging from budget-friendly to super-luxury! If that's not enough to keep you amused for a week, then get on an express train from St Anton's modern station and take a day trip to either Innsbruck (1hr) or Zurich (1.5hrs) to explore their bustling city centres.